Years ago my daughter called me from her middle school nurse’s office claiming she had an earring stuck in her ear. My first thought was a small post fell into her ear but no, that wasn’t the case. Her earring, indeed a small post, was stuck in her ear lobe! The back had fallen off and the entire stud was stuck inside the lobe. She was upset and I knew I had to get her to a doctor. But, what doctor? Our family physician? An ear, nose, and throat specialist? I even thought a dentist could numb the lobe and pull the earring out. But, what did I do? I raced her to an urgent care clinic. Yep, the dreaded “doc in box.” Maybe I should say formerly dreaded, as this type of health care is the health care for many Americans. I was one of them today. I’ve been coughing for about a week now. A dry, irritating cough with no drainage or fever but the aches and pains started hitting me last night. I thought about calling our family doctor and trying to get in today, a Monday mind you, but that doctor is now a 45 minute drive from our new home and with my luck his only opening would be first thing in the morning. Hello hour-long, rush hour drive to the doctor. Don’t get me wrong, I love our doctor but I wasn’t loving the sound of this scenario. Plan B. I was pretty certain I had either a sinus infection or bronchitis and I knew an Urgent Care Clinic could take care of it. Do I drive an hour or so to my doctor if I can even get an appointment with him on such short notice, or do I drive 15 minutes up the road to a fully-staffed, no appointment necessary “doc in a box?” The box won and I’m on the road to recovery after a steroid shot, a Zpac antibiotic prescription, and that wonderful cough medicine with codeine. Bingo. Oh, it’s bronchitis by the way, which the uber-professional doctor guessed right away but still checked me from head to toe. So how does one decide what medical professional to see? There are basically four choices: a doctor in his/her office, an urgent care clinic, a retail walk-up service, or an emergency room. Basically, urgent care is for those situations where you can’t wait for an appointment with your doctor but the injury or illness is not life-threatening. Of course there’s more to consider than just that, so let’s look further. Remember the Dr. Marcus Welby days, when you’d simply call (not text or email) your doctor’s office, make an appointment, and see him or her that day? Those days are somewhat gone. Yes, it can still happen, but more than likely you will be given appointment options days away and if it is “urgent,” you will be told they will try to squeeze you in at “fill in the blank” time. Code red word: come then and get ready to sit in the waiting room with hacking, sniffling patients for a fairly long time. Bring a book. Bring a mask. 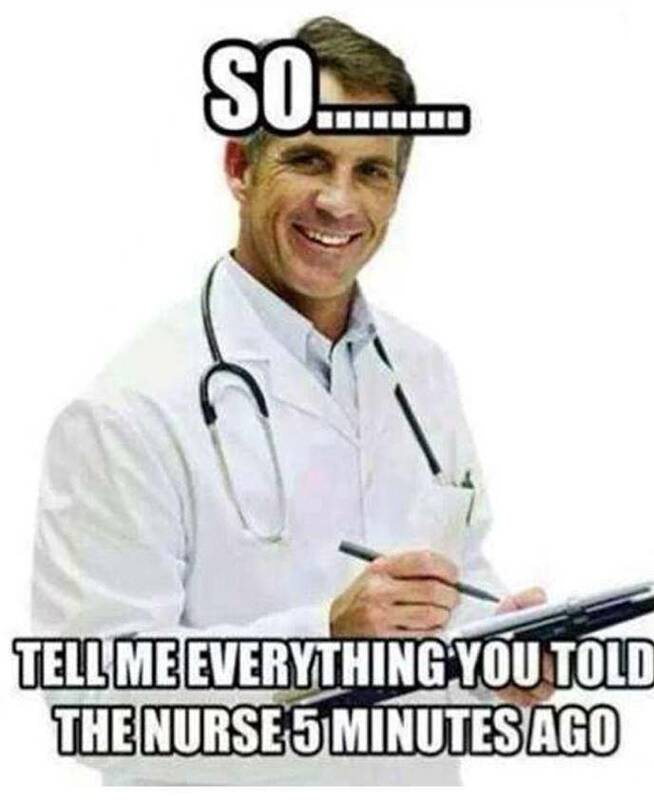 On the flip side, that primary care physician probably saw you previous times, which means he has comprehensive medical records on you. Have you gained weight? Lost too much weight? Is your blood pressure suddenly high? Are you allergic to certain drugs? They will know this about you. They might also visit with you about other health-related issues like nutrition, stress management, and exercise. I’d say, in my totally unexpert opinion, see them for acute and chronic conditions like diabetes, high blood pressure, and allergies for sure. Like I said, I love our family doctor. What I don’t love is when doctor’s offices email you their forms to fill out before your appointment. Um, excuse me, I’m paying you how much and you want me to use my hard-earned printer paper and ink? Not gonna happen. I’ll be filling out the forms while I wait in that germ-infested waiting room. I mean REALLY!? This reminds me of a scene from one of my all-time favorite TV shows, “Will and Grace.” Grace is sitting in a doctor’s waiting room for quite some time and as she puts a waiting room magazine in her purse she says, “You make me wait, I take things” Classic. Okay, so primary care physicians are great, and if you’ve got the time, they’ve got the office hours. But, they just might not be convenient. And, in today’s “I need it now” society, this sometimes is just not good enough. 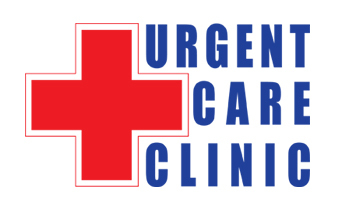 Enter the urgent care center, home of no appointments necessary; acceptance of almost all insurance policies; extended hours that often include nights, weekends, and holidays; and locations everywhere. They are also often fully staffed with real doctors, nurses, physician assistants, and medical assistants. These places used to be frowned upon by many a medical expert, but some of them have changed their tune, especially for issues like sinus infections, colds, the flu, cuts and scratches, allergies, minor sprains and strains, bug bites, diarrhea, vomiting, sore throats, minor broken bones like fingers or toes, and even urinary tract infections. Plus, wait times are usually less than 30 minutes and co-pays, though higher than those at your primary care doctor, don’t break the bank. Consider them the price of convenience. Convenient health care. They aren’t surgical centers however, but many offer a wide range of services including imaging like X-rays, orthopedic casting, and the treatment of injuries that require stitches. Most clinics have a licensed physician on-site at all times, which is a plus, but you probably won’t see the same one each time you go. This means that doctor, as worthy as he or she might be, will know nothing about your medical history except for what you fill out on the admission form. And, this information and your visit may or may not be shared with your primary care doctor, leaving what some health care professionals call “the black hole of medical records” and the interruption of long-term “continuity of care.” Both of which raise eyebrows and concern. I will say the form I filled out today did ask for my doctor’s name and contact info. Whether they send him anything is up to them. If I was that worried about it, I’m pretty sure I could call them tomorrow and make sure they did and if not, request they do. I’d venture to guess many of you have visited one of these. They are commonly found in grocery store pharmacy departments and nearly all big pharmacy chains have them. Staffed by nurse practitioners, not licensed doctors, they are great for flu shots and vaccinations, but keep in mind they normally can’t prescribe narcotics like cough medicine with codeine. 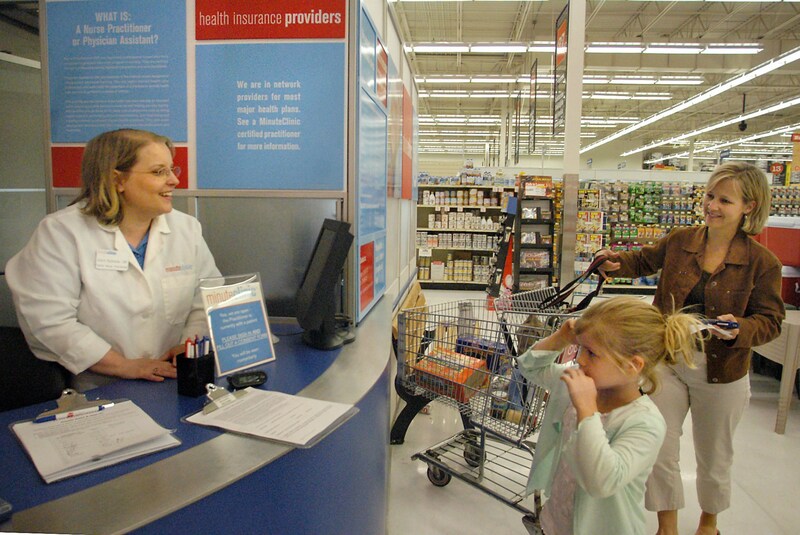 Their role is to yes, get customers in the store, but to also complement a primary care physician or urgent care clinic. But, don’t think of them as replacements for either even though it’s been reported that up to 50 percent of retail clinic patients have no primary care doctor. It scares me just to write about these. 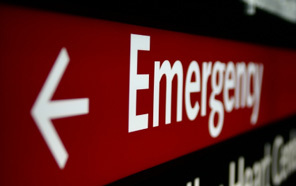 Emergency rooms are of course for, emergencies. No primary care doctor, urgent care clinic, or retail walk-up service should ever be considered a substitute for emergency care. Mt. Sinai Hospital suggests thinking of an emergency condition as one that can permanently impair or endanger your life or the life of someone else. You wouldn’t go to one for a sinus infection or flu shot but you would go to one if you got bit by a rattlesnake or fell off a ladder. Other emergency situations include severe chest pain, difficulty breathing, compound fractures with bone protrusions, convulsions, seizures, loss of consciousness, heavy and uncontrollable bleeding, poisoning, head or neck injuries, back injuries, and severe abdominal pain just to name just a few. When in doubt, consider emergency care but also consider that they are, expensive. Very expensive. Sadly, a RAND Corp. study reported that up to 30 percent of ER visits could have been handled adequately by an urgent care clinic or retail clinic, saving nearly $4.5 billion a year in health care costs. Urgent Care Clinics began popping up in the early 1980s and today there are nearly 6,500 of them in the U.S. and close to 2,000 retail clinics, both of which are considered many an American’s main source of health care. They are also what some consider a symptom not a cause of our nation’s health care systemic woes. Busy, hard-working Americans may long for health care’s “glory days,” but they don’t miss the inconvenience of its appointment-based traditions and with both deductibles and premiums increasing at sometimes alarming rates (I’m looking at you Obamacare), those same budget-conscious Americans are looking for medical care options. They want health care to be as much about them and their 24-7 schedules as it is about doctor convenience. We also live in a very fluid society with jobs being accepted across the country and moving the family is the norm. Where to live and what schools to enrolls kids in are often the priorities but doctors, they come and go so both retail clinics and urgent care clinics seem to fit the bill. Urgent Care Clinics are also considered a growing franchise business opportunity and are one of few health care industry growth areas. Most centers are freestanding facilities run by private investors but even some hospitals and health care systems are partnering with clinics in hopes of expanding their brand and services. Proponents of the urgent care clinic system say they consider it not a replacement of traditional health care or the need for primary care and specialty doctors, but rather as an option to a system that is overloaded. Doctors simply can’t be in their offices 24-7, patients can’t plan illnesses during work hours, and accidents happen. So, I think we’re pretty much in agreement as to where to go for emergency situations, but it’s up to you where you turn for anything else. Diabetes? I’d go to my family doctor. Flu shot? I’d probably head to a retail walk-up clinic. Strep throat? Unless my primary care physician is immediately and conveniently available, I’m off to the nearest urgent care clinic. Oh, and if I ever get an earring stuck in my ear. Yep, that one for sure.